• Line-interactive topology is used for protecting enterprise network and IT applications against power failure, power sag, power surge, under voltage and overvoltage. In normal mode, the device is controlled by a microprocessor that monitors the quality of the supply and reacts to fluctuations. • A voltage compensation circuit is enabled to boost or reduce the supply voltage in order to compensate for fluctuations. The main advantage of line-interactive topology is that it enables compensation for under- and overvoltage without using the batteries. 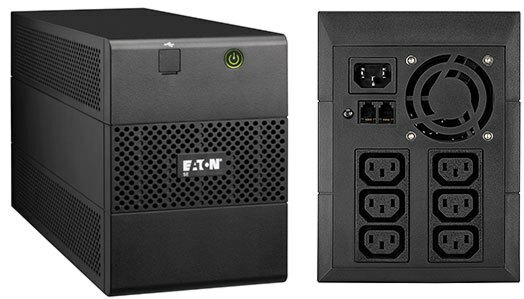 UPS Companion Software ideally suited for power management of personal computers (and their associated peripherals) with USB connection to the UPS. * Backup times are approximate and may vary with equipment, configuration, battery age, temperature, etc.